With the addition of REEPACK’s thermoformers and tray sealers to Ossid’s portfolio of tray overwrapping and weigh-price labeling systems, Ossid achieves single-source supplier status for protein-packaging automation. BATTLEBORO, N.C., February 5, 2019 – In an effort to provide a more comprehensive solutions portfolio, Ossid, a product brand of ProMach, has aligned with REEPACK. As the new U.S. master distributor for the Italian OEM, Ossid will be responsible for sales and support of the superior REEPACK brand of thermoformers and tray sealers. "Recognizing the strength and quality of the REEPACK brand, we are excited about furthering our partnership with REEPACK," said Jason Angel, Ossid’s vice president of sales and marketing. "Becoming the master distributor of these high-quality Italian-built machines and expanding their exposure with our customers makes sense. Ossid tray overwrappers and weigh-price labeling systems are recognized as the benchmark for automated poultry packaging systems and with the REEPACK solutions, Ossid can offer U.S. customers a single source for high-uptime, rugged protein packaging automation." "Ossid is the ideal partner for REEPACK in the United States because of its sizeable footprint in the poultry industry," added Pietro Valli, sales director, REEPACK. "Last year, Ossid’s technically astute team provided our manufacturing and design engineers with insightful technical information for each customer's application. This shortens time to market and increases customer satisfaction. Ossid is among the best in technical support. Our experience gives us a strong sense of how well they partner and the advantages they offer." REEPACK employs more than 70 people within its state-of-the-art design and manufacturing corporate headquarters in Bergamo, Italy, northeast of Milan. Ninety percent of REEPACK's machines are at customer sites outside of Italy in other European nations, the Americas, and Asia. Constructed with high-quality materials and components, REEPACK machines are designed to perform to operational expectations for decades. 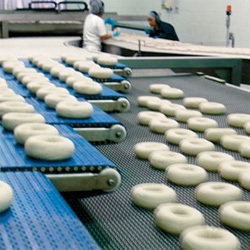 Machines meet U.S., European Union, and other food safety/hygienic standards. REEPACK's use of commercial components from leading global suppliers ensures the benefits of local availability of aftermarket parts. REEPACK offers customers a new platform for secure remote control and diagnostics. At IPPE 2019 (Atlanta, February 12-14), Ossid (booth #B4805) will demonstrate the IP 65 washdown rated REEPACK ReeForm E40 thermoformer. The E40 is easy to operate and fast to changeover – at less than 30 minutes. The E40's processing station is based on electric drives for energy savings and minimal maintenance. The E40 is qualified for Cryovac 10K films for seafood packaging. The REEPACK ReeMaster 800 tray sealer is available for modified atmosphere packaging (MAP) and vacuum skin packages (VSP) with preformed trays of almost any size, quality, and shape. The Ossid 500Si high speed stretch overwrapper features seamless integration with top and bottom application of decorative labels. The 500Si produces tightly wrapped, PVC case ready packaging at speeds of up to 120 trays per minute. For packaging lines producing high volume, leak resistant case ready packaging, Ossid displays the 500E leak resistant overwrapper. 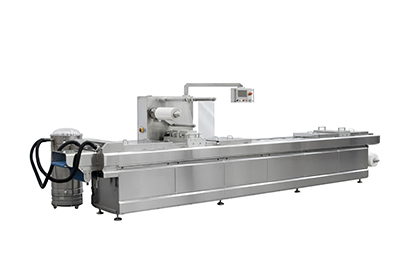 This machine is rated at up to 60 tightly wrapped high- or low-profile trays per minute. The 500E produces trays with a welded, trimmed center seal, allowing for easy printing on both the top and bottom of packaging. IPPE attendees are invited to visit Ossid Booth #B4805 to discuss the advantages of a single source for protein-packaging automation. From leak-proof tray sealing for case-ready proteins to flexible packaging for healthcare, Ossid packaging solutions are ideal for fresh and processed meats, convenience foods, consumer goods, and medical devices. 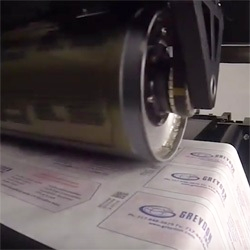 Ossid manufactures industry-leading tray overwrappers and sealers, weigh/price-labeling equipment, case scales, and horizontal thermoform fill seal machinery for companies of all sizes. 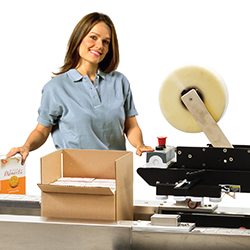 As part of the ProMach Flexibles business line, Ossid helps our packaging customers protect and grow the reputation and trust of their consumers. ProMach is performance, and the proof is in every package. Learn more about Ossid at www.Ossid.com and more about ProMach at ProMachBuilt.com. 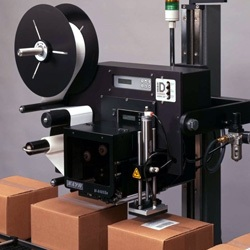 Ossid manufactures high speed packaging and labeling equipment, including tray overwrappers and sealers, weigh price labelers, case scales and horizontal form fill seal machines.